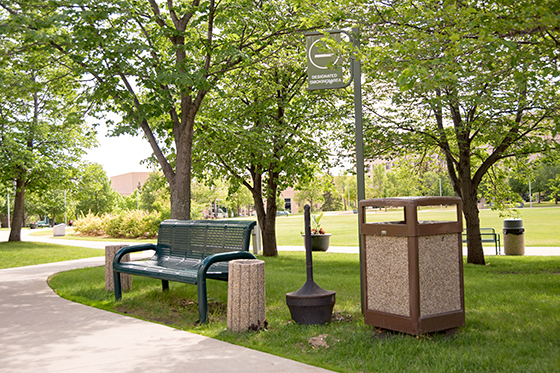 Under the revised “Smoking on Campus” policy, the University of Regina will not permit smoking or the use of tobacco products in any University owned or leased building, on leased or owned University property, or in University vehicles, or vehicles parked on University leased or owned property. Advertising or the sale of smoking and tobacco products on all University of Regina campuses will also be prohibited. Read the current Smoking on Campus policy including a link to the revised policy which will come into effect September 1, 2017.